The seminar entitled “Current Developments in Plastics Industry” brought together plastics industry stakeholders within Istanbul Chamber of Industry (ICI) at Odakule. The problems in the industry and solution proposals were discussed at the meeting attended by representatives from the sector and non-governmental organizations as well as bureaucrats from related ministries. 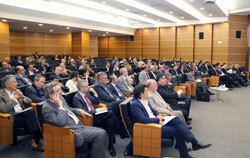 A broad participation was observed at the seminar which hosted around 120 guests. Also discussed at the event were legislative issues and many other topics of importance for the future of the industry, including chiefly foreign dependence in raw materials. 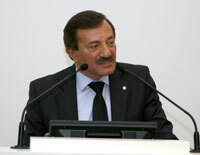 ICI Board Member Nahit Kemalbay moderated the seminar. 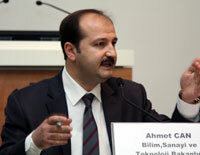 Speakers included ICI Assembly Member Mustafa Tacir, ICI Assembly Member Ömer Karadeniz, Chairman of the Board of Istanbul Chemicals and Chemical Products Exporters’ Association (İKMİB) Murat Akyüz, Deputy Director General for Customs under Ministry of Customs and Trade Mustafa Gümüş, Deputy Director General for Product Safety and Inspection under Ministry of Economy Ahmet Karabay; Recep Aslan, Department Head of Chemical Products and Exports of the General Directorate of Export under Ministry of Economy; Department Head of Imports of Ministry of Economy Ayşegül Atay and Ahmet Can, Head of the sGeneral Directorate of Industry under Ministry of Science, Industry and Technology. 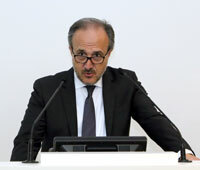 ICI Board Member Nahit Kemalbay made the opening speech at the event during which he referred to the importance of the plastics sector that ranked second in Europe and seventh in the world with more than 250 thousand employees. 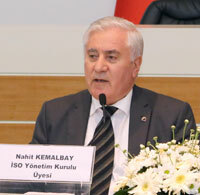 Kemalbay stated that the seminar would present an opportunity to communicate ministry officials their views on how to reach the goals set for 2023. Mustafa Tacir noted that unless plastics is used, the use of replacement products will multiply by 3.6, replacement energy by 2.2 and replacement carbon emissions by 2.7. He underscored that an increased use of plastics saves world resources and referred to the compatibility of plastics industry with EU legislation. Tacir added that decisions in the plastics industry were put into practice without consulting representatives of the industry and called for a stronger communication between public officials and industrialists. The speeches were followed by a question and answer session entitled “Problems in the Industry and Current Problems”. Officials from Ministries of Economy, Customs and Industry listened to the problems of industrialists and exchanged opinions with a focus on solutions. 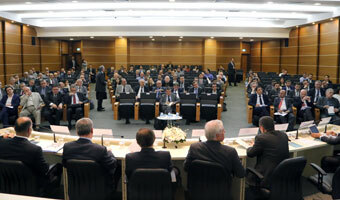 The major topics discussed in the meeting included chiefly the Communiqué on Product Safety and Inspection published by the Ministry of Economy on February 17 and March 4, 2015, which has reportedly created negative consequences for raw material imports as well as legislative and implementation problems experienced by the plastics industry, including those caused by the addition of article 117 to the special terms for inward processing regime. 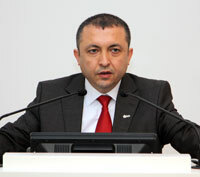 In response to the statement of problems, ministry officials noted that they were on the side of industrialists. 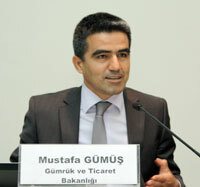 Recep Aslan, Department Head of Chemical Products and Exports of the General Directorate of Export under Ministry of Economy gave information on the Chemical Industry and Inward Processing Regime (DİR). Aslan stated that the inward processing regime has been conducive to an export rate of 46% and import rate of approximately 13%. 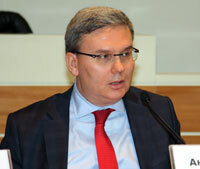 Aslan referred to the reasons for the implementation of DİR which included lack of raw materials, low competitiveness, low production, lack of advanced technology, low R&D activities, and investments by multinationals in Turkey. 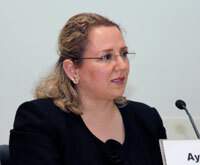 Aslan underlined the fact that DİR was not the reason but the result of import-based production. 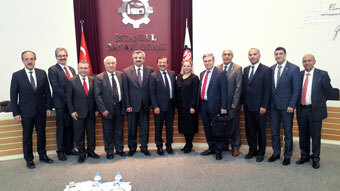 Department Head of Imports of Ministry of Economy Ayşegül Atay gave information on the raw material and product imports, suspension system and trade defense instruments. In reference to the export regime for 2015, Atay mentioned demands for the reduction and increase of customs duties for many products including plastic products. She added that in accordance with Customs Union implementations, it was impossible to introduce customs duty reductions independently from the EU.